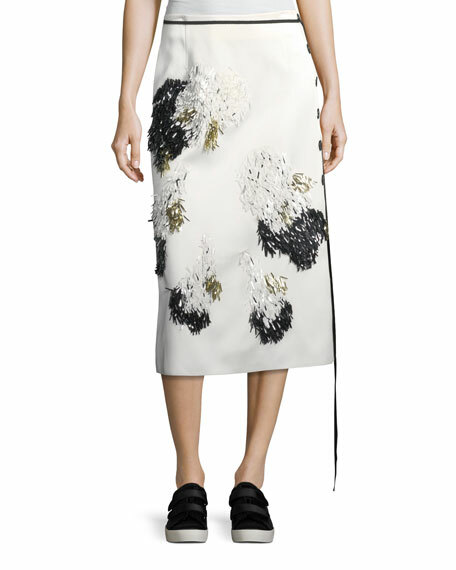 Derek Lam double-face crepe satin skirt with abstract floral embellishments. Contrast taping at waist with ribbons that hang from side. For in-store inquiries, use sku #2332678.